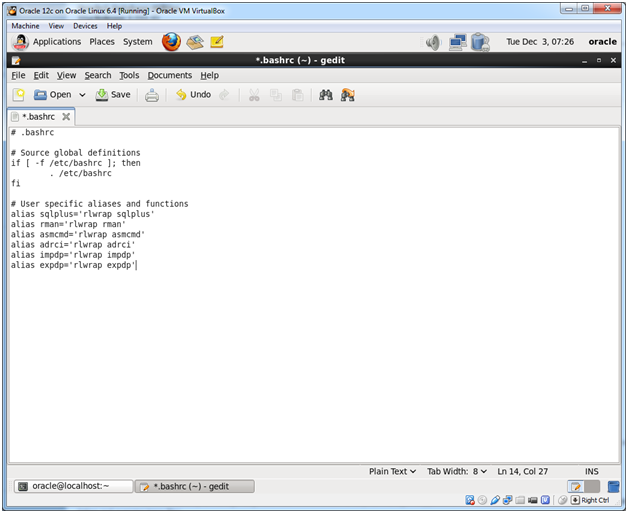 Right-click the desktop and select Open in Terminal. 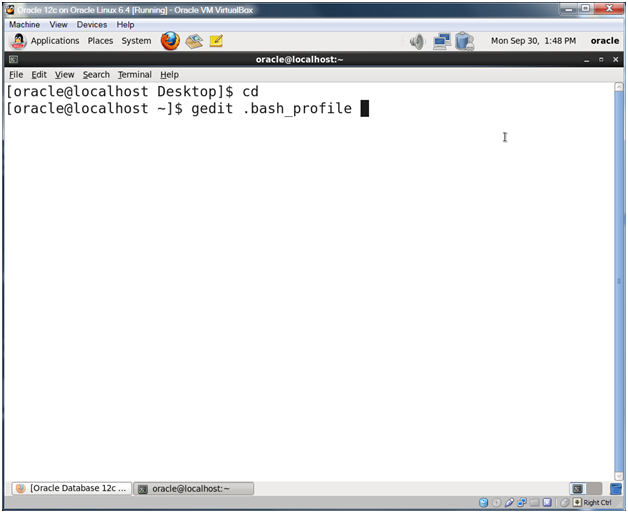 The previous command will open the oracle user’s existing .bash_profile script. 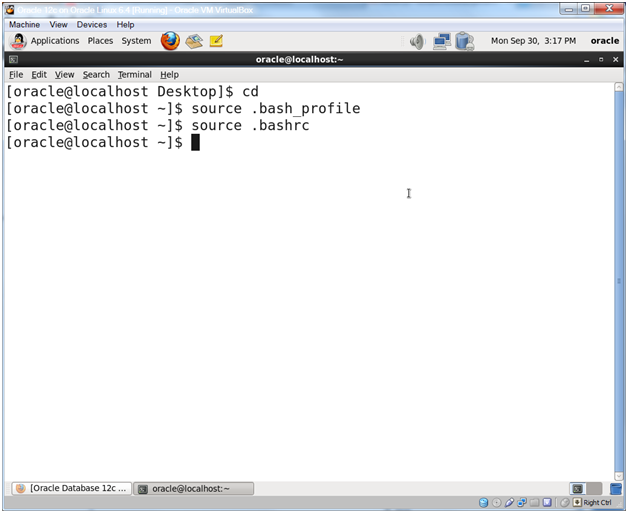 Add the lines below to the .bash_profile file. 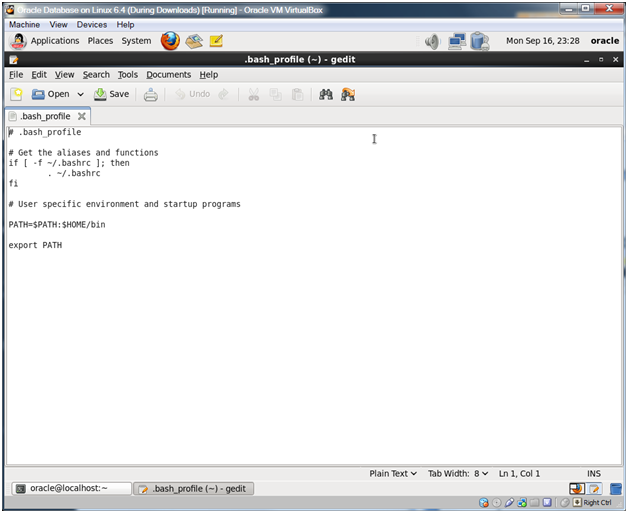 Click Save and select File -> Quit to close gedit. Our preinstall script actually sets the correct settings for the oracle user (it puts a file into /etc/security/limits.d/) and not only that, the ‘use this setting when you use ksh as your shell’ is actually wrong. The -p flag is a read only flag, you can’t actually set this. 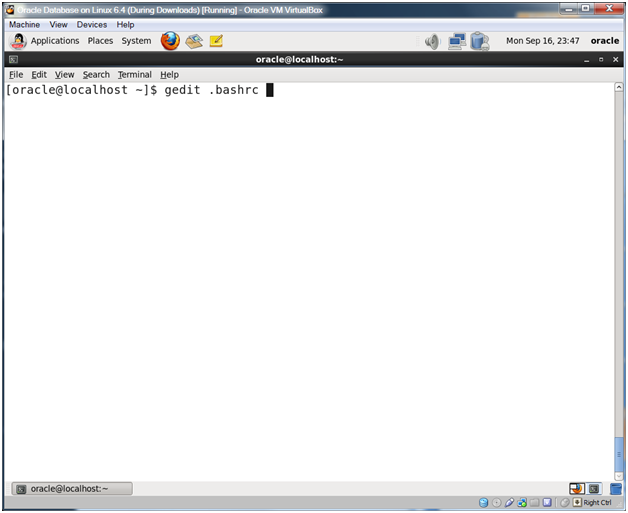 Enter the following lines in the .bashrc file. Click Save and select File -> Quit. If you get a pop-up stating that the backup file couldn’t be created, just click Save Anyway. 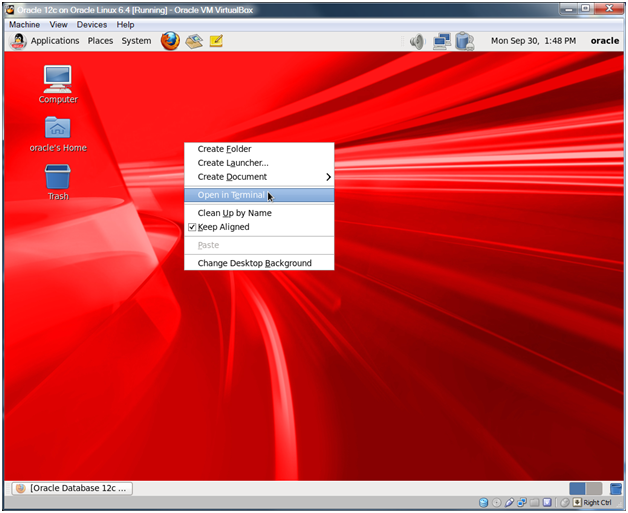 rlwrap allows the up arrow key to return the previously entered command. By default the up arrow doesn’t work in Linux (and other Unix’s) which is very annoying. rlwrap removes that annoyance. Sourcing the files will read their values into your current environment. 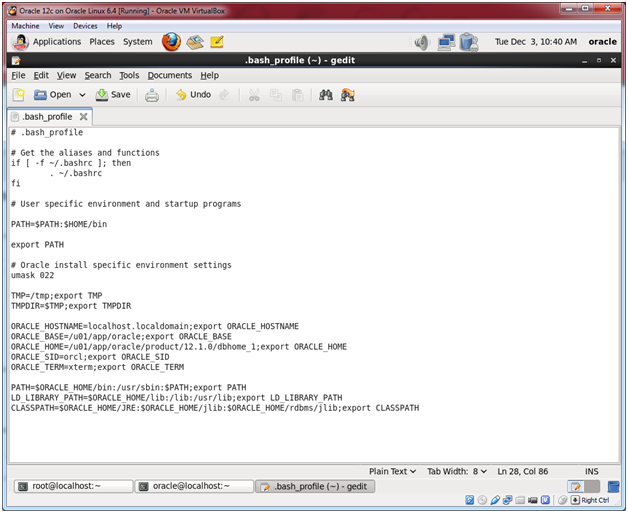 This entry was posted on Wednesday, April 9th, 2014 at 5:01 pm	and tagged with Database Install, Oracle, Oracle Linux and posted in Code, Linux. You can follow any responses to this entry through the RSS 2.0 feed.